My father's family came to Australia in 1826. They took up land on the NSW Central Coast, which they named after their birthplace, Durness, the small settlement in Sutherland, northern Scotland. I grew up near Scone in the Upper Hunter region of NSW, where my family was raising Poll Hereford cattle and Merino sheep. The family also raised Shorthorn cattle at Moree NSW and in the Gulf Country of North Queensland. Our involvement with livestock on that scale was totally commercial. The establishment of Durness Fold reflected that commercial background. 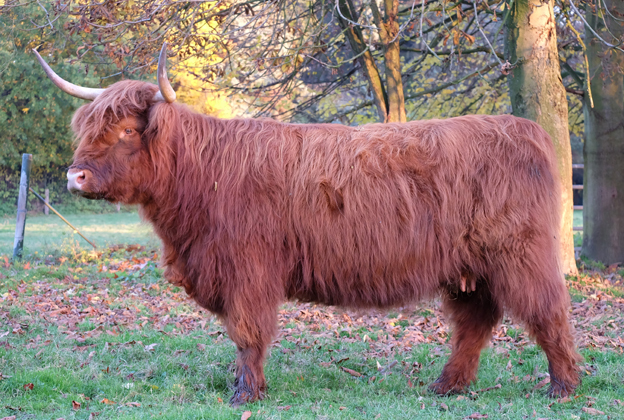 Before he handed over to my brother the running of the properties, my father, Robert Mackay, had been researching the possibility of breeding Highland Cattle. On his many trips to Scotland, his enthusiasm increased. He contacted the owners of the descendants of the original Highland Cattle imported in 1954 into South Australia & Victoria, but was unable to convince them to sell. Finally, in June 1977, with the assistance and advice of the late Andy Sproat, he succeeded in buying his foundation stock, including an 8 year old bull, which he named Robert the Bruce, from Sid Smith in Victoria. My father was 64 years old. 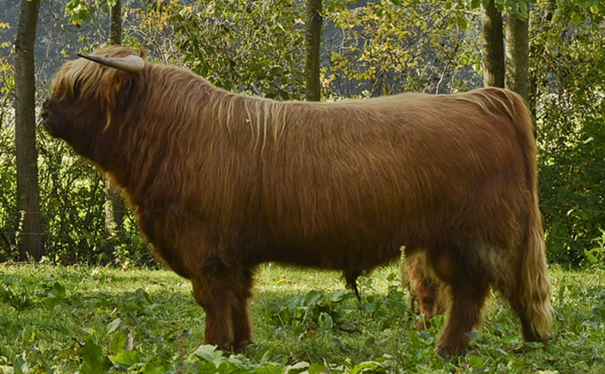 The Highland bull was put over the cows, which all produced bull calves for two years. My father was then 66 and no further ahead. Two years later, he was able to select five first generation females, which he named: Foundation 1, 2, 3, 4 & 5. He was then 68. 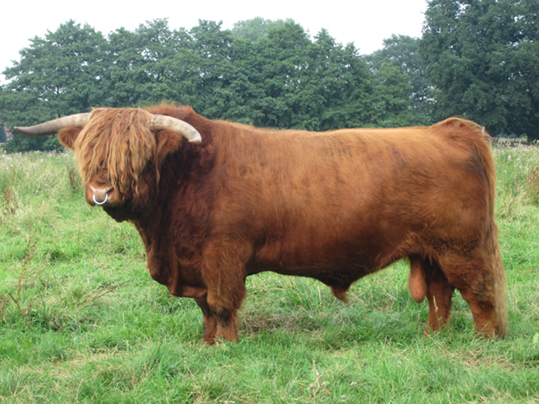 These first generation females, which formed the five female families, were then inseminated with Macdomhnull of Douneside, a bull collected specifically in Scotland for use with AI in Australia. At about this time, he decided to go to Scotland to buy some registered females. The importation of cattle from the UK into Australia had just been authorized. Two unrelated in-calf heifers were bought and prepared for air transport to Australian Quarantine at Torrens Island, SA. The total cost, landed in Australia, was assessed at $6,174.00. At the last moment, some paperwork at the Scottish end was found to be incomplete. As a result, the cattle could not be loaded and were eventually re-sold in Scotland. That exercise lasted throughout 1980. My father was extremely frustrated and upset. He then concentrated on his own breeding programme. He put the 2nd generation heifers by Macdomhnull of Douneside to another AI Highland bull collected for Australian use, Jock of Cullerne, and the 3rd generation heifers to Gille Coir of Pennygown. The numbers were still small, as he culled relentlessly - the legacy of a commercial background. By 1986, he was finally able to look forward to the first 5th generation Highland calf, one which because of its carefully kept records, could be registered if and when an Australian Highland Cattle Society was formed. But, in December 1986, at the age of 73 he died suddenly, shortly before that calf was born. Following my father's death I took over the running of the fold. In 1989, the cattle were moved south from Scone to Mandemar, in the Southern Highlands of NSW, onto a small farm which I called Durness. I continued the practice of culling any animal that did not conform to standard. I sought constant advice from respected cattle judges, including Andy Sproat, Jim Thompson, David Brown, and Mathew Walker. In 1991, I showed cattle for the first time. I regard showing cattle as a valuable learning experience. Each judge has a different opinion, but the "judges" that really matter are those standing around the outside of the ring, just as the "best" animals are at home in the paddock, where they should be. The greatest satisfaction that I have had from showing has come from carcase competition results. Kill sheets provide useful information for future breeding programmes. Carcase competitions generally provide interbreed exposure, which Highlands need. Durness steers have been shown successfully in carcase competitions, winning ribbons both on the hoof and on the hook. Durness Cattle have competed successfully at interbreed level. 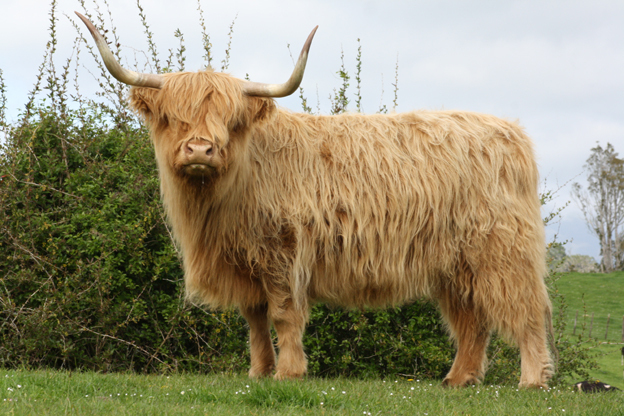 In 2000, a Durness Highland cow, Adelaide 4th of Durness, which was called up in the final of the Interbreed at the Royal Canberra Show, created considerable interest. In 2008, another Durness Highland cow, Woodgee of Durness, was Reserve Interbreed Champion at the Royal Canberra Show, creating more excitement. The sire of this cow, Rob Don the Bard of Durness, had himself been the Interbreed Champion at several local shows during 1994 and 1995. The dam of this cow was that first 5th generation calf, so eagerly awaited, and born in 1987, just after my father died. In 2014 Royal Canberra Show, Durness Fold showed cattle for the last time. We took out the Junior and Grand Champion Bull, the Junior Champion Female, and the Senior and Grand Champion Female, who also took out Best in Breed. It was a fitting swansong. Thirty-eight years on, the focus of Durness Fold is still to breed a line of cattle that is consistent and sound. At Durness, I have always believed in the importance of the female. Early on, Andy Sproat stressed the importance of the elite cow. Today, the descendants of the five Foundation females still form the five female families at Durness. Even after ten generations, these families are easily identifiable from each other; so strong is the influence of those original Foundation cows. Clearly, those original Foundation cows were numbered in order of quality, still evident generations later. Over the generations much consideration has gone into the choice of bulls used. Each bull has strengths and weaknesses. Ability to improve udders, feet, top lines, hind quarters, temperament and capacity is considered with every mating. Sometimes, this means using a home-bred bull; other times, AI is used. Over the years Durness has bred some remarkable stock bulls including Rob Don the Bard of Durness (by Jock 26th of Leys), Smoo of Durness (by Philip of Hi-Arrow), Clarion of Durness (by Jock of Cullerne). We currently have two stock bulls. Odo of Durness is by Macdomhnull of Douneside, an AI sire last imported in 1977. Blackadder of Durness is by Hallmark of Balmoral, an AI sire, bred by the Queen at Balmoral Castle. I began my involvment with Highland cattle when I took on a job as stockman at Judy Bowser's Benmore Fold in Scotland in 1990. I took the Benmore Show team to many shows every summer and had some considerable success in the ring with a number of animals. I left Benmore in 1996 and moved to NZ. I joined the NZ Highland Cattle Society in 1997 but did not actually start our fold until 2006. My wife and I now have about 10 breeeding cows and associated young stock on a 20ha dryland farm near Ashburton. 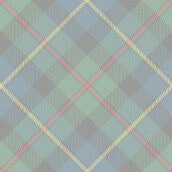 Our Fold is called Skeoch after the farm I grew up on near Stirling, Scotland. I have been involved with the NZHCS bull assessment scheme since its inception and currenlty coordinate assessments on behalf of the Society in the South Island. I am a Grade 3 Interbreed Beef Judge for the NZ Royal Agricultural Society and regularly judge Highland and other breeds at shows around the country and have officiated as Highland Judge at Royal Shows. I have also judged at both the NZHCS South Island and Winter Shows and am heavily involved in organising the South Island Show along with a group of dedicated breeders. I look forward to judging the 2015 Virtual Show - it will be a challenge using photos rather than seeing and touching animals in the flesh. Please note the judges panel has been reduced after input from members of the breeders group to 2 judges. Unless a major sponsor can be found to provide ribbons and trophies it has been decided no ribbons or trophies will be provided and only placements on the net. Sponsorship will not be sort frm the societies.